The Centre, on Thursday, reiterated its stand before the Supreme Court that it cannot allow Rohingya refugees from Myanmar to enter India, refuting the application filed by noted lawyer Prashant Bhushan. In an affidavit filed by the Ministry of Home Affairs, the Centre asserted that India is already facing a "serious problem of infiltration because of its porous border with other countries which is the root cause of spread of terrorism in the country". It then submitted, "Securing the border of any sovereign nation in accordance with law is an essentially executive function and this Court would not issue a writ directing not only the Central government but all the state governments having a common border to ensure foreigners enter the territory of India." ...all agencies tasked with the function of guarding the borders of our nations are discharging their duties strictly in accordance with law and complying with the human rights in larger national interest." "The obligation of non-Refoulement is essentially covered by the provisions of the aforesaid convention to 1951 to which India is not a signatory. It is submitted that considering the very peculiar geographical situation existing namely India sharing its land border with China, Pakistan, Bangladesh, Bhutan, Nepal, Myanmar, it is not in the interest of national security for this Hon'ble Court to issue a direction as sought for." In the same vein, it submitted that it cannot issue any identification cards to the refugees, as India is not a signatory to the Convention. It further contended that as far as the Rohingyas who have already entered the country are concerned, there has been no reported case wherein medical help or education was denied to them. The Affidavit went on to counter the reliance placed on relief facilities granted to Sri Lankan Tamil refugees, contending that the grant of these facilities has its genesis in the Indo- Sri Lankan Agreements of 1964 and 1974. Under these Agreements, India had agreed to repatriate and grant Indian citizenship to six lakh persons of Indian origin, together with their natural increase, by 1981-82. The Affidavit was filed in response to Petitions filed by Mohammad Salimullah and Mohammad Shaqir, challenging the Centre’s move to deport Rohingya Muslims back to Myanmar. 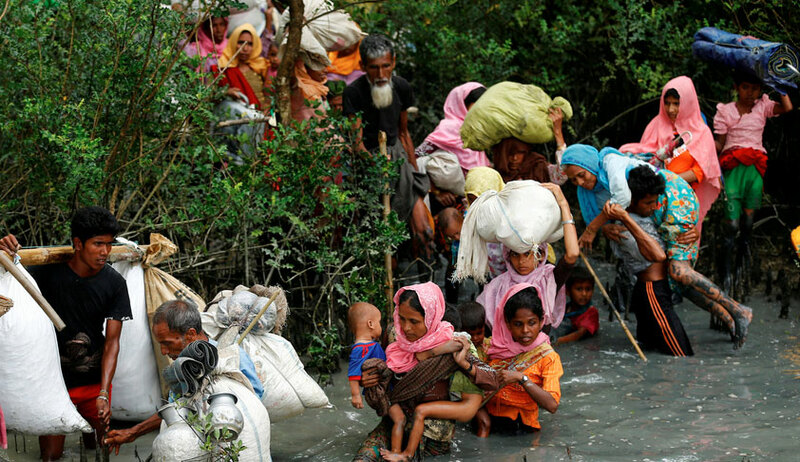 Representing the petitioners, Mr. Bhushan had recently filed an application before the Apex Court, seeking a direction restraining the Government from preventing more Rohingya Muslims from entering India by crossing the Myanmar border. Mr. Bhushan had also demanded better living conditions for Rohingyas currently in the country. You may read the Application here.